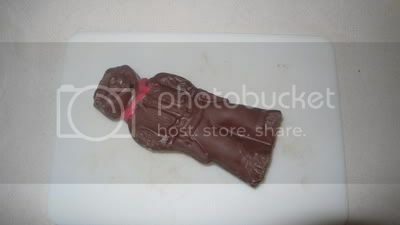 What to do with that remaining chocolate bunny from Easter? Melt it down and add it to an experimental recipe of course! I was going to go all out and get whole wheat pastry flour, but given that I was melting down a milk-chocolate bunny with unknown ingredients, that seemed a little miss-matched. So, I went with regular flour. I think this recipe will be even yummier when made with more wholesome ingredients next time. That being said, they turned out pretty good even with the sugary chocolate. If you're making this with baking chocolate squares, go with semi-sweet and maybe add a ¼ cup of sweetener. 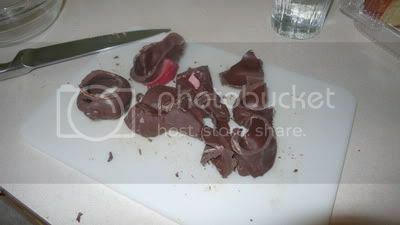 The remains of this year's bunny. 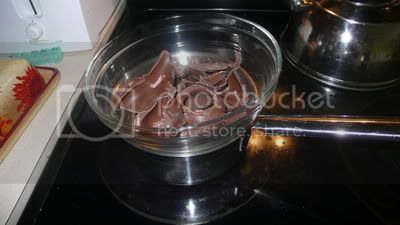 Melt chocolate and butter together in a double boiler (or, if you're me, a glass bowl set over, but not touching, boiling water in a sauce pan). Stir until smooth, and allow to cool. In the meantime, beat bananas – then add cooled chocolate mixture, along with a dash of vanilla extract. Beat in one large egg. In a separate bowl, stir together flour, baking powder, salt, and cocoa powder. Add to chocolate banana mixture and mix well. Pipe into prepared muffin tin (I usually put batter into a large Ziploc bag and snip the end off, less mess, pipes right into the cupcake liners). Bake at 350° for 15-18 minutes, or until a toothpick in the center comes out clean. 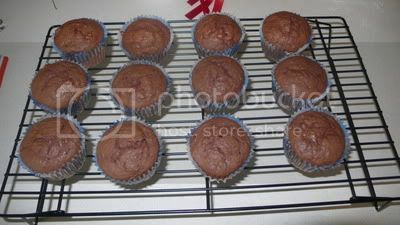 Remove from oven, cool on rack in pan for 5 minutes, remove cupcakes to rack and cool for ½ hour. 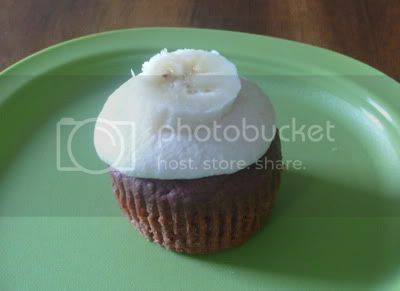 For the frosting, cream butter and banana together, add 2 cups confectioners sugar, beat well. I added a healthy dash of vanilla to this as well. 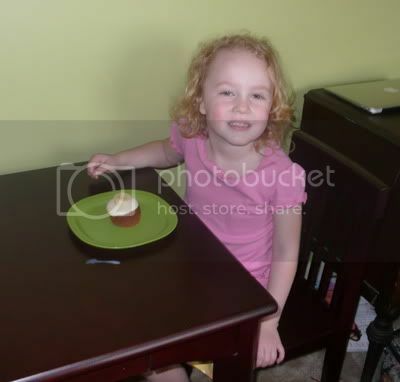 Piped on to the cupcakes in the same manner as the batter was piped into the liners. I added a slice of banana on top of each for added banana-ness. They passed the ever-important "Peanut Approval" this afternoon.